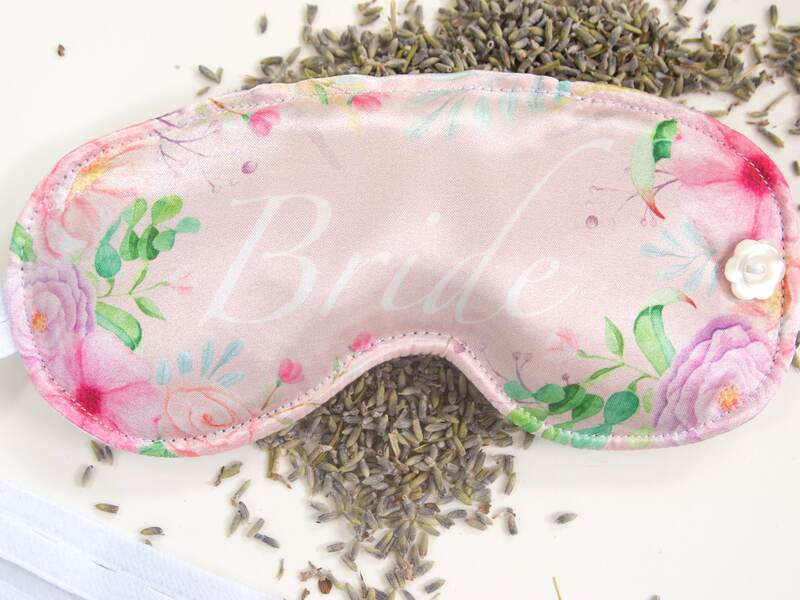 This bridal sleep mask filled with lavender will sooth pre-wedding jitters! 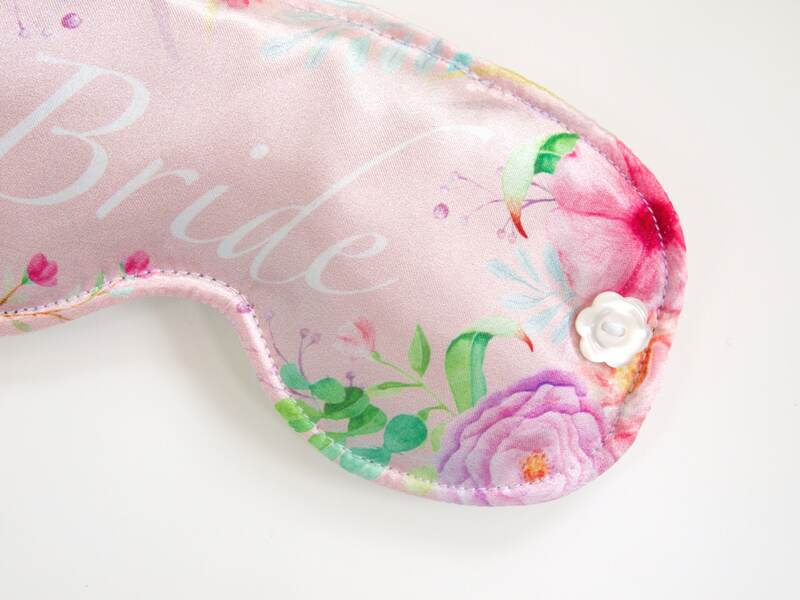 Custom watercolor flowers are printed on shimmering satin fabric and an ivory satin fabric is used on the face side. 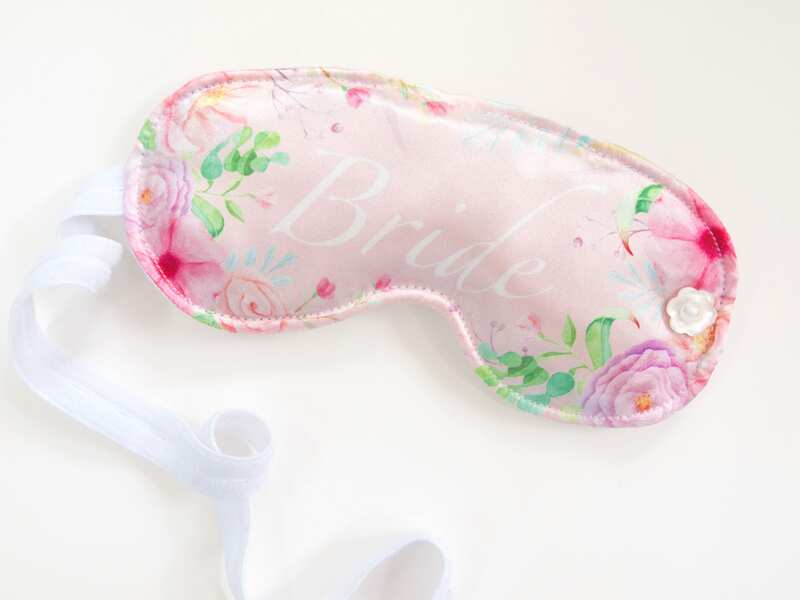 Bridal sleep mask has a black micro fleece layer sandwiched between layers of satin for ultimate light blocking! A soft, non-snagging white button hole elastic allows for tension to be adjusted on the face. Elastic attaches to pretty, small white flower button. Mask measures approximately 7.5 inches x 3.75 inches. 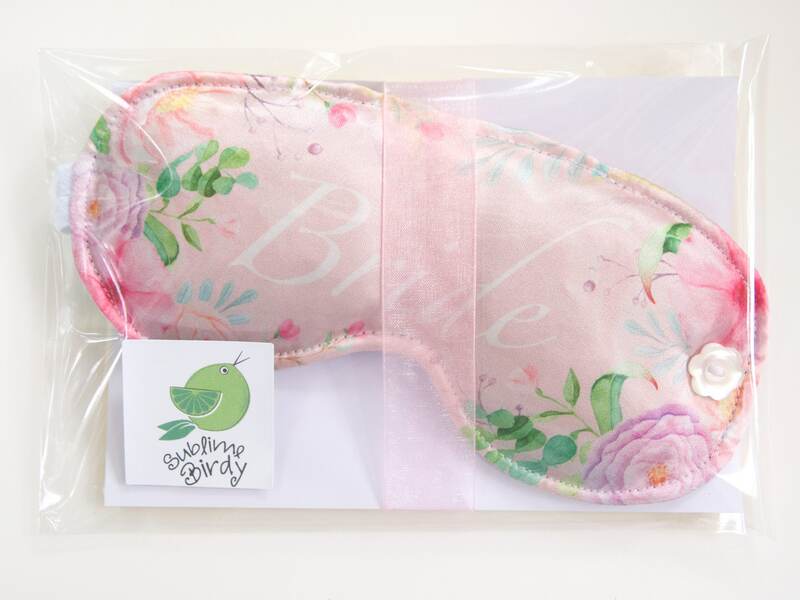 I bought this as a gift for my best friend and she absolutely loves it! 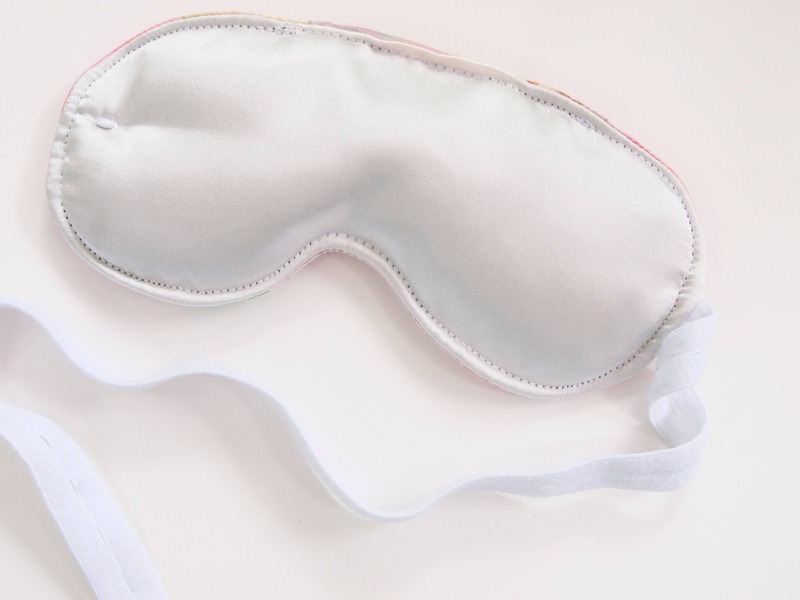 The mask is super soft and smells incredible. It’s so well made. Thankyou!